If you have purchased 'Bill to Marker' you might want to consider picking up a couple of extra markers. These are the exact markers that the gimmick is made to match and for each one you pick up, you will double the number of performances that you can do. Plus, you'll never have to worry about the marker running out of ink! Will people question why I am not using a Sharpie? Definitely not! In fact, these markers are very familiar with most people. They are a go to brand in many stores. 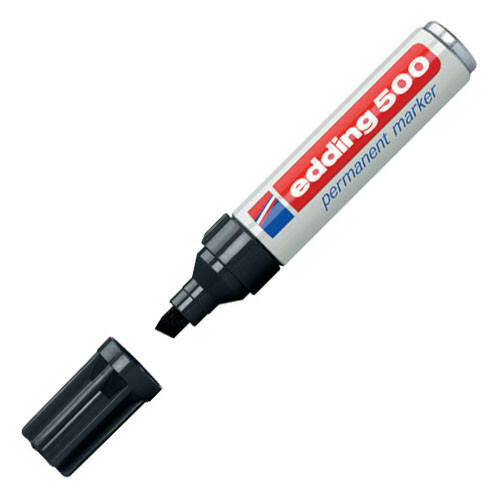 Is this the best type of marker to use? Absolutely. This marker was the basis for the gimmick so it is absolutely perfect. 256 days... Just kidding but the ink will last a long time, especially if you are only using it for signature.